Key Difference: Pounds and Lbs are same thing that have the same meaning, just spelled differently; while Pounds is the unit of measurement, ‘lbs.’ is the abbreviation and the official notion used to indicate pounds. Pounds and Lbs are one and the same; while Pounds is the unit of measurement, ‘lbs.’ is the abbreviation and the official notion used to indicate pounds. Pound is a unit of measurement that is popular in the imperial system, used most commonly by United States. In order to differentiate it from currency of Britain, also known as Pound, the unit of measurement is often abbreviated as ‘lb’ or ‘lbs’. According to the international convention there is only ‘lb’ and it does not have a plural form (i.e. ‘lbs’), though it has been gaining popularity in usage. The unit and its abbreviation originate from the Roman libra, while the name pound is a Germanic adaptation of the Latin phrase ‘libra pondo’ meaning “a pound weight.” The term ‘libra’ means “weight” or “balance” and hence is commonly represented by a scale in astrology. The Roman libra roughly corresponds to 12 ounces, different from what it is today where one pound translates to 16 ounces. Pound is a unit of measurement in the foot-pound-second system, more commonly known as the English system or the FPS system. It is more frequently used in the United States to measure mass and weight of an object, corresponding to the kilograms used in the metric system. 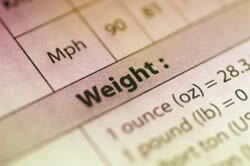 It is the representative unit of measurement for the weight/mass/division of the system. Pound measures the mass of an object with respect to the Earth’s gravitational force on objects. It can be used to measure humans, animals, things, etc. Since 1 July 1959, the internationally accepted definition for the pound is known as the international avoirdupois pound, which defines a pound as exactly 0.45359237 kg. There have been other kinds of pounds in use, but most of these have become obsolete. Other kinds of pounds include troy pound (used in England by apothecaries and jewelers), tower pound (general name for King Offa's pound), merchants' pound (used for selling most goods in England until the 14th century) and London pound. In addition to measuring weight, pounds can also be used in engineering and physics to measure force (pound-force), energy (foot-pound) and pressure (pound-force per square inch).